On November 2, 2012, we had a riveting interview with Amy Wrzesniewski. Dr. Amy Wrzesniewski (rez-NESS-key) is an Associate Professor of Organizational Behavior in the School of Management at Yale University. She received her BA in Psychology from the University of Pennsylvania, and followed that with an MA and PhD in Organizational Psychology from the University of Michigan. Prior to joining the Faculty at Yale, she was Assistant Professor at New York University’s Leonard N. Stern School of Business. For almost two decades, Amy’s research has focused on how people make meaning of their work in challenging work contexts or conditions. How can they reframe their work in a more positive and meaningful way if they are employed in stigmatized or low-level occupations, if they are isolated from coworkers and communicating only virtually, or if they are out of work altogether? The value people place on their work and how they function without it are critical factors in their satisfaction with work–and ultimately with themselves. Amy’s interests include what happens to people’s personal characteristics as careers unfold and transition over time, and how their personal characteristics affect the work choices they make and work environments they live within. Current research involves studying how employees shape their interactions and relationships with others in the workplace to change both their work identity and the meaning of the job. She has documented differences in the experience of work depending on whether work is regarded as a job, a career, or a calling and creates practical tools to help people become more active participants in the design of their work lives. (see Job Crafting in Additional Resources, below). Amy has published a long list of influential articles, chapters, and presentations in organizational development and her ongoing contributions to conferences, including those focused on positive psychology has been impressive. 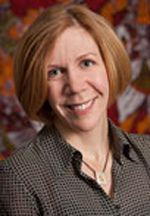 She consistently maintains high ratings for her teaching and has shepherded many dissertation-level students through the arduous process of obtaining the Ph.D.
Amy served as an editor and contributor to a textbook used by organizations and business management schools, Identity and the Modern Organization, which integrates multi-disciplinary theories and research on identity and the shifting cultures in modern organizational work environments. Listen to Amy’s 7 minute explanation of her research on Careers. Check out a Harvard Business School blogpost featuring Amy’s work. Learn the keys to happiness and meaning at work. Create a visual plan for redesigning your job to better fit your motives, strengths, and passions with Amy’s Job Crafting exercise. Find out how to help good workers do a better job. 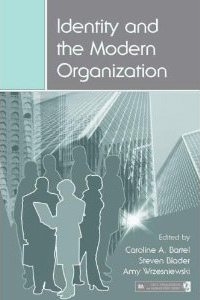 Review Amy’s academic publications on organizational development.